I completely fell off the blogging bandwagon this summer. Things (meaning life) just got wildly out of control, and I haven’t had a spare minute for anything extra. When things get that hectic, it seems like the blog is an easy thing to give up on until things calm down. My Cowboy just said to me this morning, “Interruptions are life. That’s never gonna change. You’re just gonna have to roll with it.” Easier said than done. It’s turning me into a person even I don’t wanna be around! I have so much to tell you and show you here in this space, and I haven’t had time to put any of it together yet. Research, writing, scanning and editing pictures, computer time, sewing time — it’s all a little overwhelming and going so slowly for me right now. Remember that quilt-along I promised back in June? Yeah. That’s still gonna happen, and I’m getting oh-so-close to starting it, so please hang in here with me and stay tuned, and we’ll get to it shortly. I do a lot of sewing/quilting for the twice-yearly trade show for the quilting industry, called Quilt Market, and I also quilt for designers who have books and patterns in the works, and therefore very tight deadlines. But . . . I think I’m about to get caught up on all that, so I can get back to my regularly-scheduled program! I have so many fun things planned, so stick with me, and check in to see what those are. I even have a couple new give-aways in the works! I’m going to a workshop this weekend to learn a new-to-me technique. We can all benefit from occasionally adding a new tool to our toolboxes, can’t we? I signed up for it months ago, when I was sure I’d be all caught up and have plenty of time for it. Now that the time is here, I’m simultaneously feeling excited about learning something new, and guilty for taking the couple days off to go do it when I have so much left undone. Next week, I’m giving my program about The Life of Hazel Ilene to my home guild, the Hands of Friendship Quilt Guild, in Kirksville, Missouri. I’ll be presenting Hazel’s story, and showing all the projects from the book. If you’re in the area, you are welcome to come be our guest that evening. It’s Wednesday, October 19th, at 6:30, at the Adair County Annex Building in Kirksville, Missouri (on north Franklin Street, one block north of the town square). Maybe I’ll see you there? And please check back soon. I’m planning on getting things rolling along again, and you won’t want to miss anything! I’m presenting a program about The Life of Hazel Ilene at the Macon County Historical Society Museum in Macon, Missouri, on the evening of August 1st, from 6:00 – 8:00 pm. 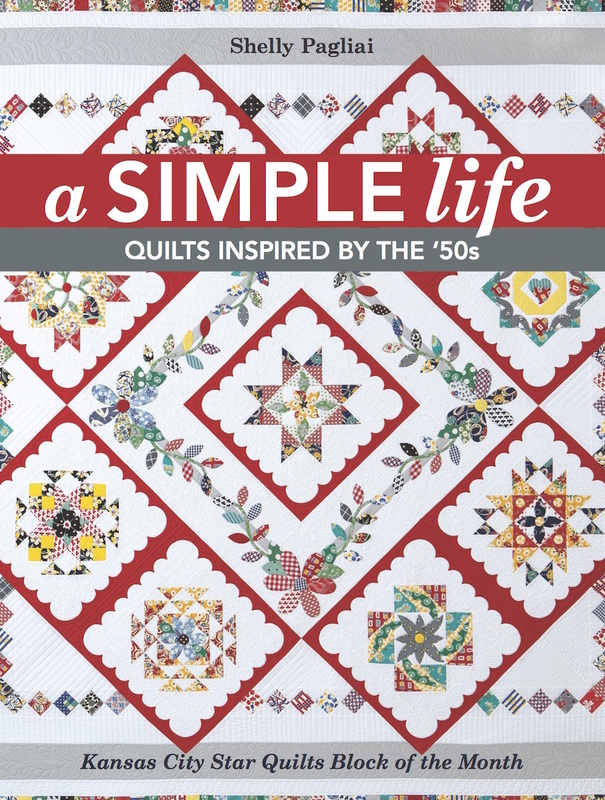 I hope you’ll join me at the museum for this presentation where I’ll be showing all the quilts from the book about The Life of Hazel Ilene, called “A Simple Life: Quilts Inspired by the 50s”. I’ll also be talking about the diary, and the area’s history from the early 1950s, so if you were growing up in the Macon/Bevier/Callao area around that time, I think you’ll find this program interesting, and I’d love to visit with you there (especially if you knew Hazel)! I’ll have copies of the book for sale, and would be thrilled to autograph them for you. If you’re interested in this area’s history, and have not visited the museum before, I think you’ll find the museum itself to be a fantastic place to visit, and a wonderful resource. The museum is located on the south end of town, just south of the YMCA, in the Blees Annex Building, next door to the Blees Military Academy (Lakeview Towers). I hope to see you there on August 1st! 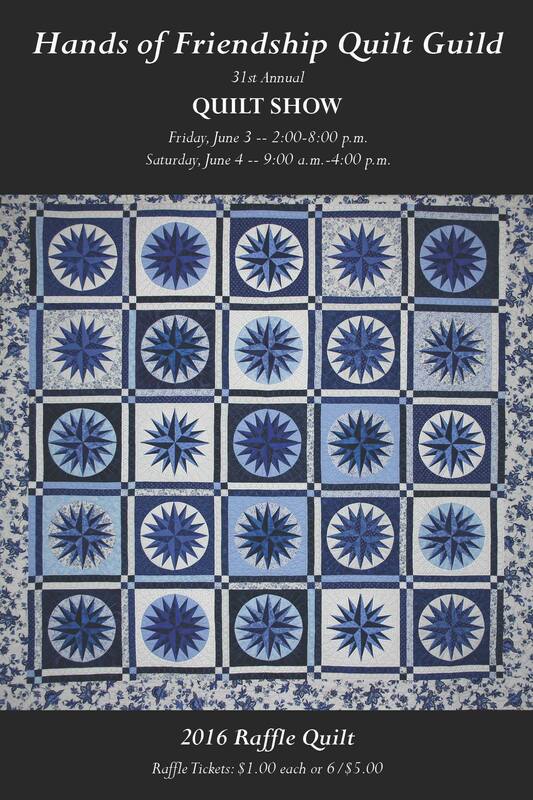 Today begins the 31st Annual Hands of Friendship Quilt Show in Kirksville, Missouri. You can read more about it and get all the location and time details HERE. This is our raffle quilt this year — isn’t it gorgeous? If you’re in the Kirksville area, I hope you’ll come see the show — it’s worth the trip. I’ll be there signing copies of my book, A Simple Life, so if you’ve been wanting one, you can get it there while doing a LOT of other fun stuff — hope to see you there! Went to Bevier this afternoon & I saw Dales folks & his little sister, Patti, go through. I feel so funny inside. Dave & Ruth is up here tonite. I’ve started making a scrap book. At the time I posted the entry back in 2011, I said I had no idea what happened to the scrapbook. Well, look at what has appeared since that time!!! 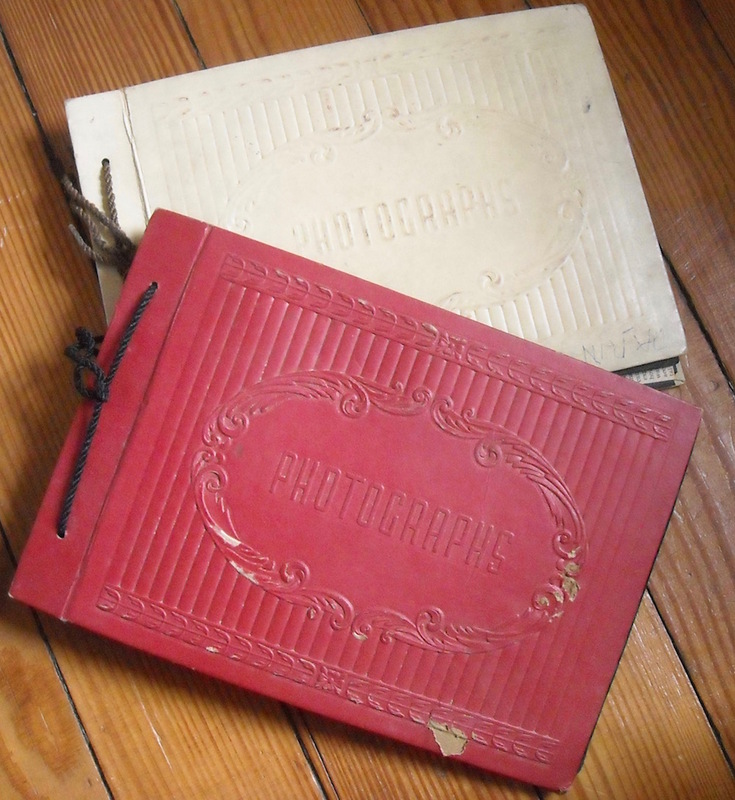 TWO scrapbooks put together by Hazel herself! Found in a box of things that Daddy unearthed from somewhere. The fronts of the books say “Photographs”, but Hazel has filled the books with newspaper clippings and all sorts of other little mementos from high school. It’s amusing some of the things she found worthy of keeping, and over the next few weeks, I’ll show you some pages from the scrapbooks, and talk about some of the events she mentioned. I’ll also soon have an announcement about the next Quilt-Along! Dale came up today & we went to town – got our license & other things – then went down to the house & worked & ate supper at Rods & Pearls’ then went to the house & worked some more. Working harder and faster on the house now. It’s all got to be done so they can move in. The wedding is the day after tomorrow! They’re just about all set — they got their license. I guess things are falling into place for this to all happen as planned. Mom stayed home today & we worked all day. Ruby was out this morn. I went to the Funny bone Folies again tonite & our trio sand I Understand. Was good. Saw Don & Jane. Bye. Mildred had the day off. It’s her birthday, but Hazel didn’t even mention that. She must be so caught up in her own goings-on that she didn’t think about it. Another night of the Funny Bone Follies and another performance by the trio. They made their own drapes for their house together — how sweet. Dale is no stranger to sewing — his mother is a fabulous seamstress, so I’m sure she taught him a thing or two. And the drapes turned out beautiful! One more thing to check off the list. The trio is back at school. I wonder how that felt after having graduated — to go back and perform at school again. I’ll bet Hazel thoroughly enjoyed it, since she loved school so much. The “Funny Bone Follies” must be something new that was dreamed up this year. They didn’t have any event by this name while Hazel was a student.